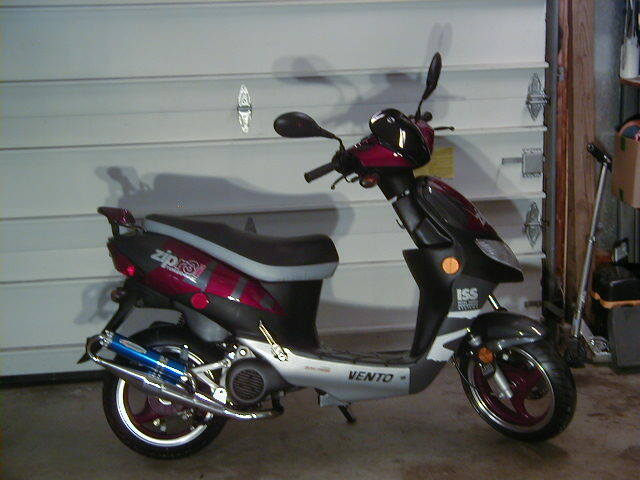 My vento scooter was stolen between 10pm Nov 7th to 8am Nov 8th from right outside my condo in Fort Collins. 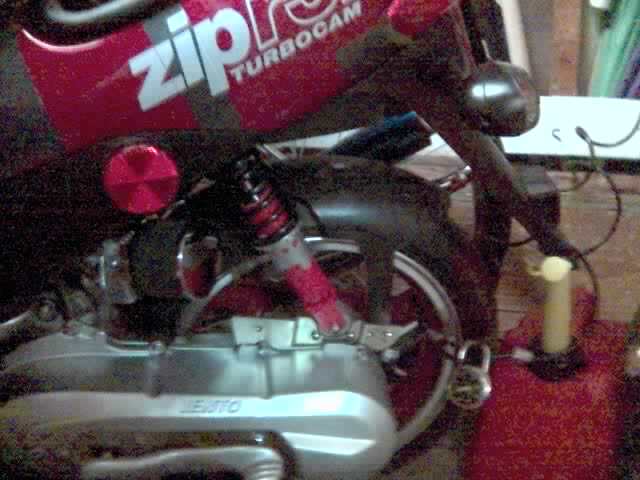 I had an aftermarket pipe and air filter on it, as well as a new carburator on it. The transmission case was missing most of the screws also. The handlebars were locked but that didnt deter the thief at all. If you have any information, please let me know. 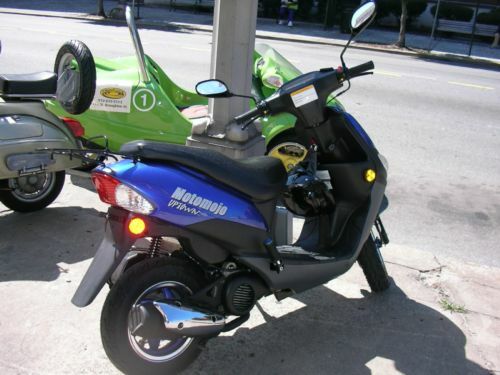 These two scooters were stolen from the front of our house, on Cedar and Lincoln. 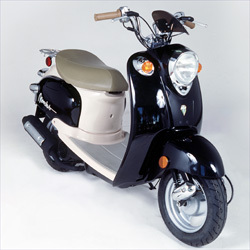 The Malagutti is a Yesterday, and the seat is grey, which distinguishes from the original Yesterday. 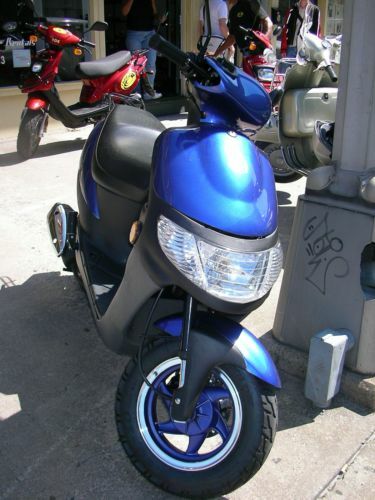 The Kymco is Blue and has identifiable scratches on it and a broken, left brake handle. Someone was pretty brave in stealing two, right out from under our noses, so if anyone spots them or has any information, please let us know. Thanks! 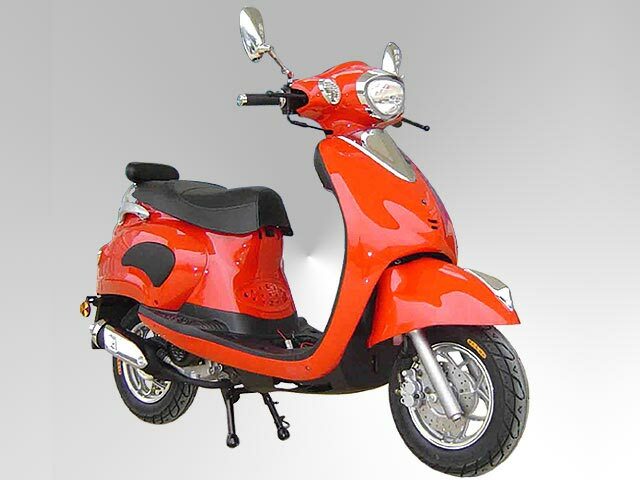 My scooter was taken from my work lot in downtown Cleveland on west 9th st. between 9 and 10 am. No one saw a thing. It may have been loaded into the back of a truck, the stearing was locked. Has a chrome fender insted of black, it has a chrome air filter made by ADA Racing, it has a billit gas cap, and the black plastic part that covers the exaust is spraypainted silver. Also the deck is missing a screw tords the front and the grip tape is messed up at the back. The gas tank has a scrape on the corner of it and if you pull the pullstarter cable out there is orange highlighter at the end of the cord. The pullstarter handle is also melted on one part. 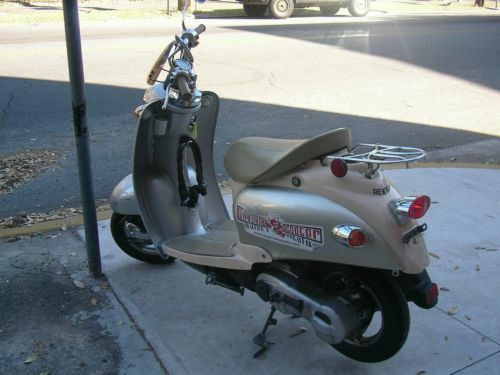 My 2003 Silver Stella was stolen from my parking spot at 5007 N. Damen Ave. the night of November 3, 2005. I have filed a police report, number HL714727. If you have any information regarding my Stella please contact me, Mat Bakley at 847-452-6782 or the Chicago Police Department. 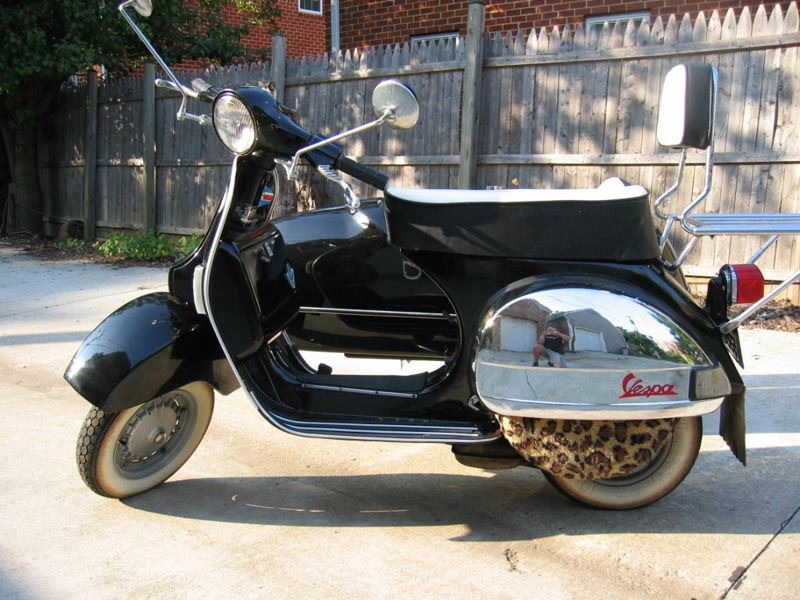 Model: 2003 Silver Stella Scooter VIN Number: MD7CG84A733046328 License Plate: IL C22366 Accessories: Mini Windshield Chrome Horn cover Front Whitewall tire Chrome front bumper guard Chrome Cowl Protectors Repairs needed: I was about to take it into the shop because the kick start did not recoil to its original position that last time I rode it. The kick pedal is about a quarter of the way down from the regular position cause fuel to leak. I had the fuel turned off and the steering column locked so whoever stole it will be need some work done on it. Please keep at lookout. 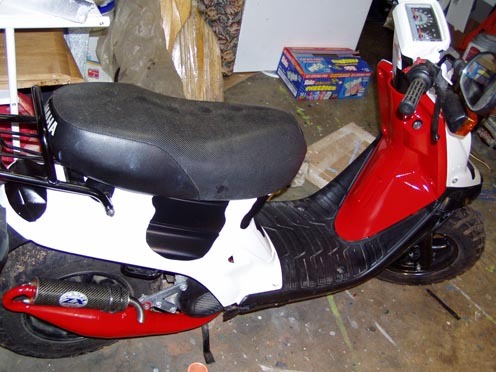 This was stolen from my garage in Belair Edison. 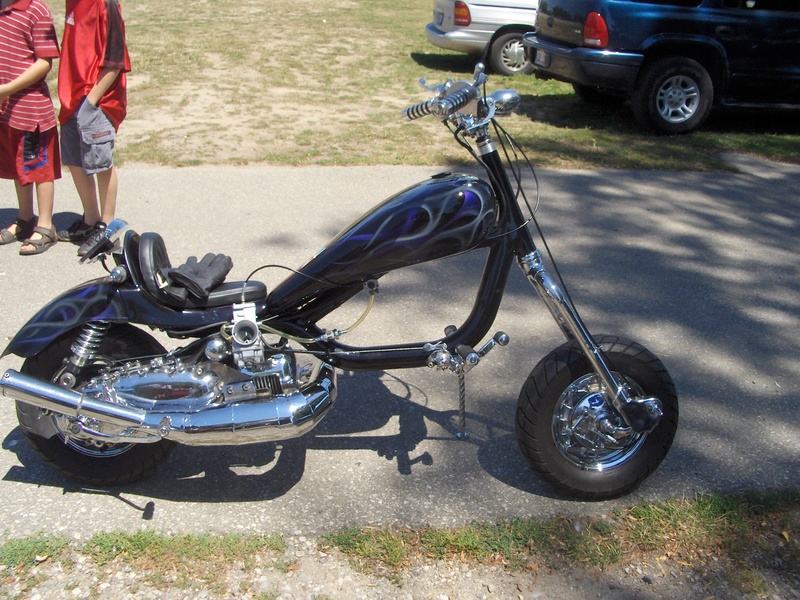 They stole it with two other scooters. The other two have been retrieved. The other two were painted over within 24hrs of being stolen, so I am assuming it has been repainted by now. 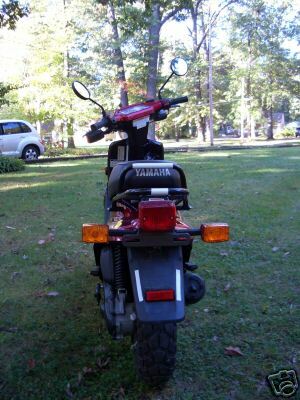 So if you see someone riding a Stella with a bad paint job and wires hanging out that is probably it. The right front fender was cracked and being held together by medical tape. It stands out because the tape is white and the fender is drak green. 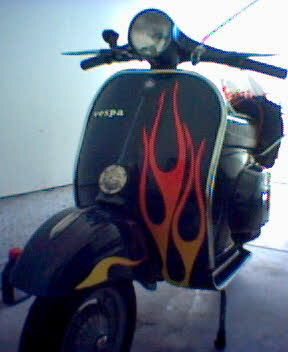 Looks ghetto, but I love my baby! 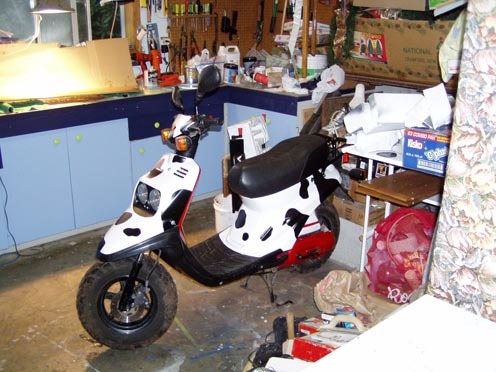 Thieves stole this by breaking into a locked mini storage unit. 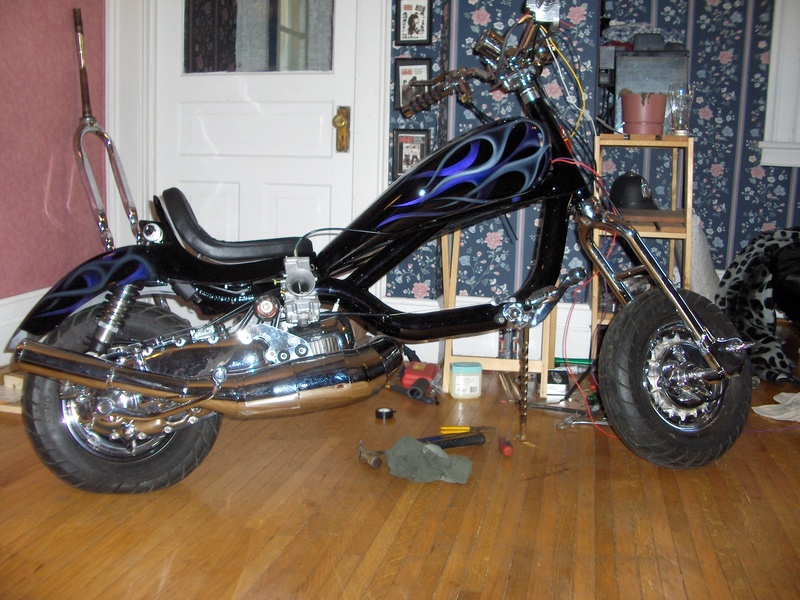 Bike does not run and requires restoration; torn seat, some fender scapes front and rear, but exterior in overall decent condition. Stolen at 5th and Mission in SF. 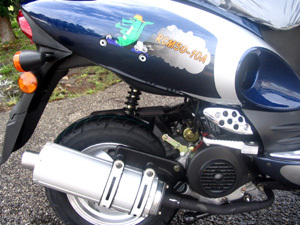 This is a newly painted mint scooter. 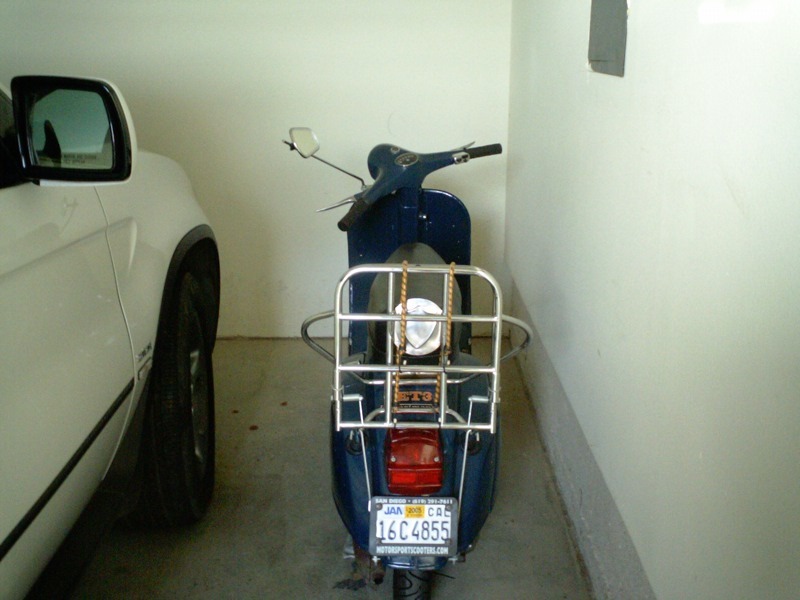 STOLEN IN FRONT OF RAINBOW TOWERS APARTMENT BUILDING- 3838 RAINBOW BLVD, KANSAS CITY, KS 66103. LAST SEEN APPROX 12AM BY SECURITY GUARD. 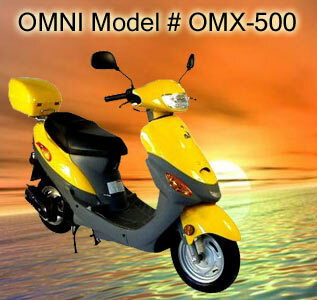 STOLEN IN FRONT OF RAONBOW TOWERS APARTMENT BUILDING- 3838 RAINBOW BLVD, KANSAS CITY, KS 66103. LAST SEEN APPROX 12AM BY SECURITY GUARD. 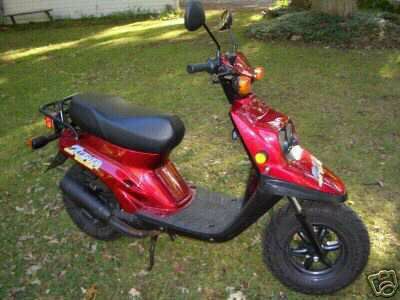 Stolen with another scooter red locked to black trailed with Red aux gas tank. 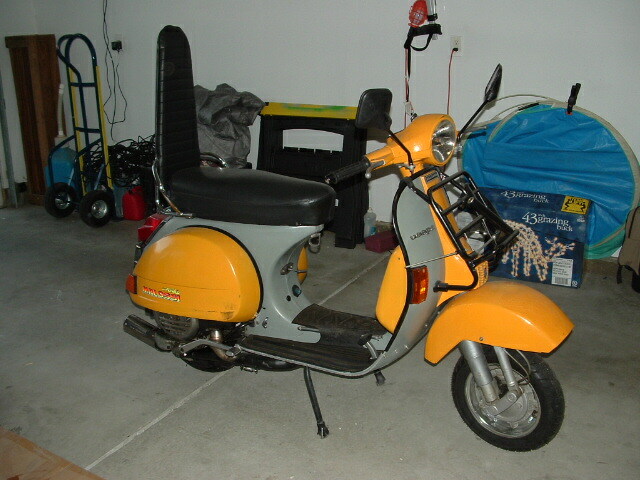 Between midnight on 9-21-05 and 10am 9-22-05(incidentally my birthday as well)My scooter was stolen out of my backyard. My yard is fenced in and they came in and cut my 1 inch cable lock and stole it, the alarm didnt work. There is a reward for its return, I will be curious as to where it was found but otherwise no questions asked. 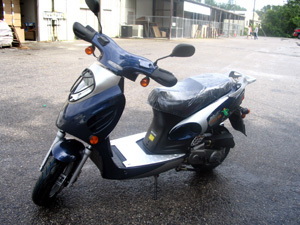 Stolen from the street in front of my apartment on E. Hall St. between Habersham and Price, between the hours of 3am and 11am. It was missing the right rear view mirror at the time. I am offering a reward for any information leading to its recovery and/or the arrest of whoever took it. 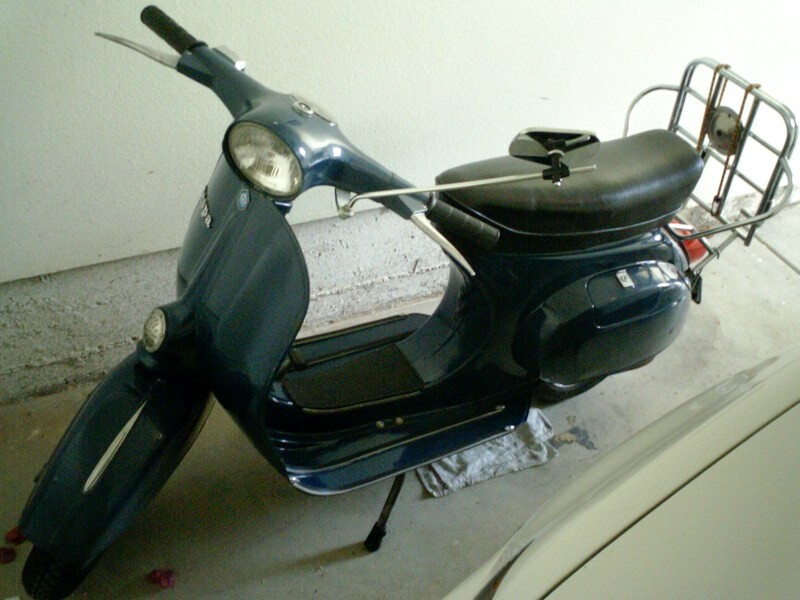 My scooter was stolen between the hours of 7:30pm and 2:30am from my apartment complex Blunn Creek Apartments in south austin. there is a little worn spot on the back of the seat. also it had a blue crate with tuxedo killers sticker on the crate. this is probably off of it by now. 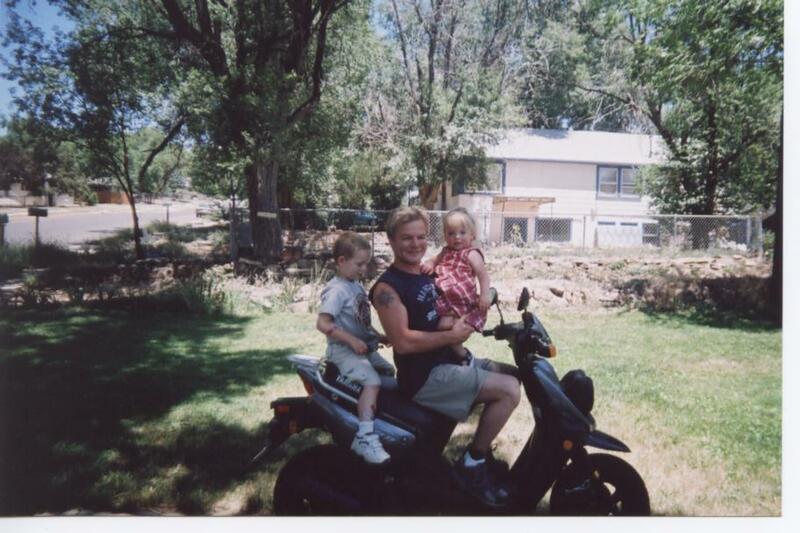 I really want my scooter back. I think there is some sort of ring in austin or that it was planned cause when we got home that night there was my neighbor scooter still there and then it was stolen later in the night/morning. they may be together. 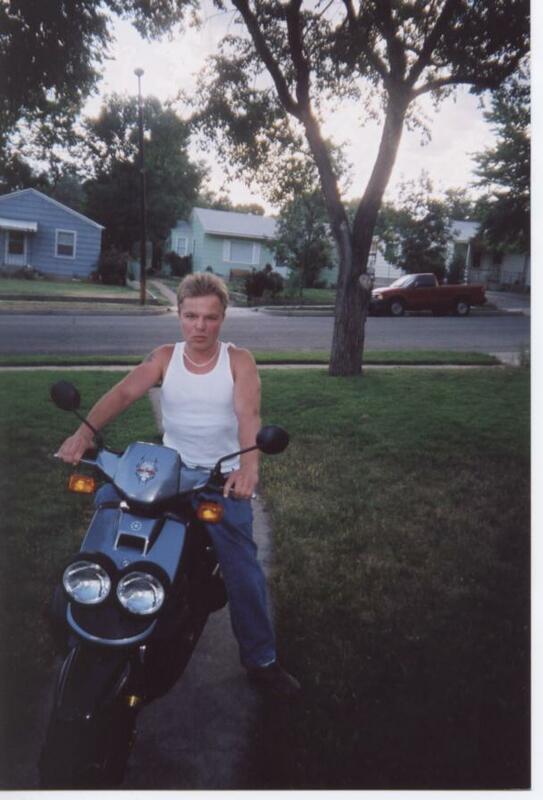 His was a red honda elite with a saint ed's sticker on it. Stoloen from my front door. 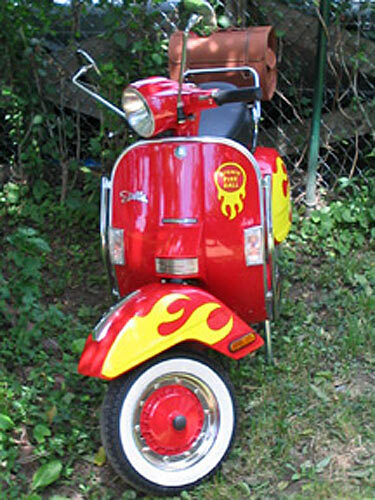 Scooter was in front yard locked with ignition key and sometime in the night it was stolen and dragged out of the yard. Chrome leg shield edging. Garmin GPS mount on Right handlebar. Magnetic stick on flames on leg shield. See photos. 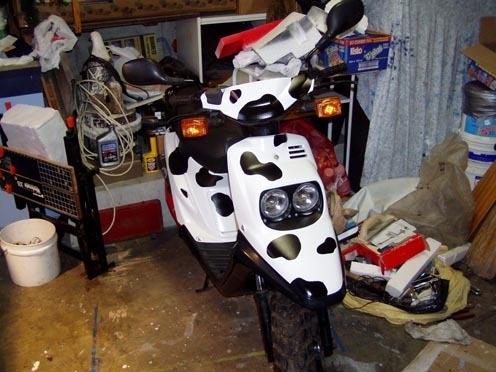 The scooter is painted like a cow. 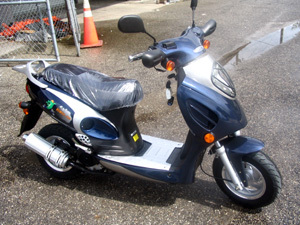 Stolen from outside of SCOMO, this is a silver OG paint P125 cutdown. The panels are yellow, and very cut, the headset top is lime green. $$$ no questions asked reward.